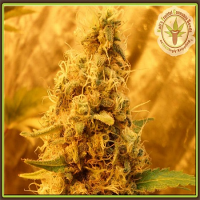 Sour Kosher Feminised by DNA Genetics Seeds is a high yielding cannabis strain that produces plants that are highly resinous and come complete with trichome coated tops and a delightful sour flavour and fragrance. Ideal for growing weed indoors and outdoors, these cannabis seeds flower in 9 weeks and will allow you to enjoy yields of up to 500g. At Sensible Seeds, we supply over 3000 different cannabis strains including Sour Kosher Feminised by DNA Genetics Seeds. Our friendly and helpful team is always on hand to answer any of your questions about our weed seed banks – get in touch!